As with many other places today the Cathedral hosted Remembrance Services. My role today was to speak – something that I have been a little worried about. The experience, though, was special and quite an honour. I used the iconic image of the poppy in my talk moving from the deaths of Flanders (using that beautiful yet poignant final scene in Black Adder Goes Forth) and hope I left those there with a sense of hope for the future. The emotion today was raw and tangible. As expected there were family members and colleagues present who had lost loved ones within the last year. We owe those people a great deal, and we shall remember them. 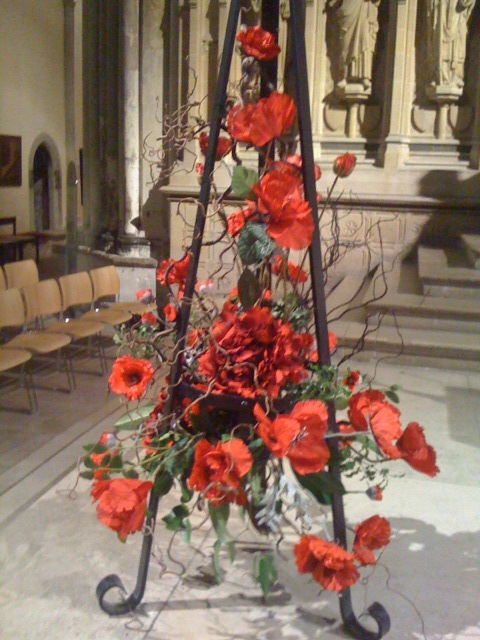 This entry was posted in cathedral, remembrance by robryan65. Bookmark the permalink.